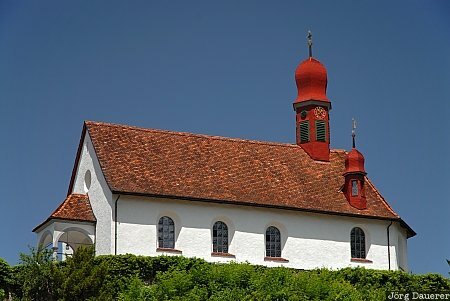 The church of Flüeli-Ranft on top of a small hill in the center of the village, Canton of Obwalden, Switzerland. This photo was taken on a sunny day in June of 2006. This photo was taken with a digital camera.